My Home → Unified Communications → Service Management → How Many Touches Does YOUR Zero Touch Provisioning Have? As vendors go through consolidation of partners and revisit processes in an attempt to streamline their business, Swoop Datacom has a challenge for smallest to the largest vendors to undertake. Is your provisioning process zero touch? If it is zero touch, what does that actually mean? I met with John Bennett, Co-Founder and CEO of Swoop Datacom, to find out just how many touches were in Swoop Datacom’s provisioning process. John began by summarising the typical process that vendors are following today. Swoop Datacom’s platform means that all the systems do the work behind the scenes. All the right people get the right phones with the right config. And this is different to what vendors are used to. John told me what Swoop Datacom’s wants to change is the mindset that this is difficult. “You don’t need a partner in each country. There is one global process where you order your equipment and you have the same user experience, the same control and the same visibility. 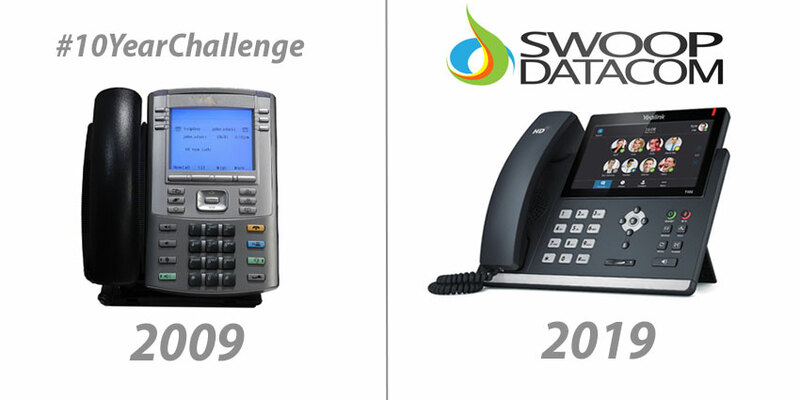 You can buy any of the 300 phones we support and make sure your processes are using the same methodology”. This means your business productivity levels increase as you no longer have to invest time and resource. I then put my vendor hat on and told John that it felt a little exciting and disruptive. But with those feelings come nerves. John settled my nerves quickly. “It’s about vendors realising that we have the people that know what they are doing – with years of experience and understanding – of how we can put existing devices together using one simple method. We’ve done all the back office work and coded these applications together. And we’ve proved it globally by rolling phones out everywhere. You don’t have to have ten different processes per handset or vendor”. “We’ve onboarded 15 different partners and they’ve all penetration tested for security processes many times. Everyone of them has signed off on it to make us live. None of them have ever come back with a security breach. We’ve tested the system to the point of breaking and gone to the nth degree to had network overlay security process that are more complex than some of our vendors are used to. By futureproofing the security and support, Swoop Datacom ensures that vendors understand where Swoop Datacom is going but also where the industry is going. John pointed out that this is particularly important in the self-service world. “A lot of the time this is a self-service system. It’s not always delivered as a wrap-around services so there won’t always be someone that goes out and install the devices can maintain them. At the same time, we need to give vendors and users peace of mind that their handsets are backed up by the highest levels of security. What does self-service and zero touch mean for provisioning jobs? With my nerves truly settled around security in new, disruptive technologies, another alert rang in my head. Having worked in provisioning for six years, it suddenly sounded like my old role was being made redundant. A little like the introduction of artificial intelligence in the contact centre, John informed me this would make provisioning roles more productive and zero touch provisioning isn’t a threat. “Someone still needs to setup the configs and profiles. We’ve just made this seamless. If the information is given to our distribution partner at the point of sale, our system generates the user account and password, assigns the phones to the user and select the call control platform to make sure it has the correct firmware. In theory, it’s a slick processing system”. I then asked John what happens if I have a problem with my phone or batch of phones and haven’t touched it through the provisioning process. Again, John eased my mind. There are usually two explanations if a device is down at the point of testing or go live. “It’s either dead on arrival which is a pandemic failure. This is an RMA request and it goes back through the supply chain process. The second issue it could be is if the device isn’t connected to the provisioning server. Our system gives you status updates and helps you start troubleshooting where the issue lies”. Come and see if it doesn’t do something that you need.